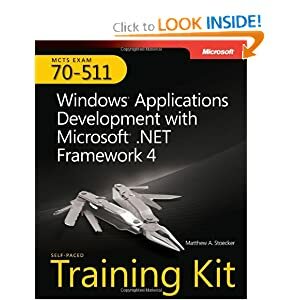 Happy to share that I have cleared the exam for the - 70-511 TS: Windows Applications Development with Microsoft .NET Framework 4 - certification. The exam is a tough one covering almost all the topics with sufficient depth. - I took a hard look at the 'skills measured' or the exam objectives to find out what I knew well and what I didn't. - MSPress book also I went through all chapters. 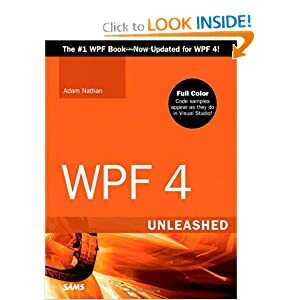 - But these things would not matter if you don't have experience of at least 1.5-2 years of developing real world WPF applications. I have certainly gained a deep understanding of the technology and appreciate it a lot more now. There are few things that I did not know, for instance animation classes are really easy and wonderful to use. In my job, coding in WPF has become a lot more 'flowy', now there are no apprehensions/doubt about how some parts of the framework work.